Site manager Steve Wood joined Bovis Homes’ Hampton Lea location in Malpas, Cheshire in the summer. Here, he talks about what makes a successful development and his aims for the future of the site. - How long have you worked at Bovis Homes and in the housing industry? - How would you sum up your role in one sentence? 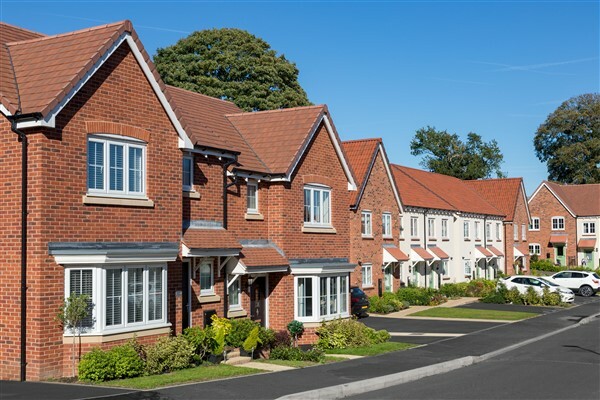 - What makes Hampton Lea stand out from other new-build locations? Hampton Lea is a wonderful spot to build quality new homes with fantastic views of the Cheshire countryside, combined with the quality village life of Malpas. The neighbourhood is peaceful and quiet but also just a short drive to Wrexham or Chester, should home buyers want a bit more excitement! - What house types are available at Hampton Lea? - How would you sum up a Bovis Home in one sentence? - What can visitors and home buyers at Hampton Lea expect from the Bovis Homes there? - How often are you in touch with customers at Hampton Lea? We are constantly in touch with our clients. We like to be available to our customers, even if it’s just to say good morning. They know where we are, if they ever need us. In our short time here, we have moved in a number of home buyers. They all seem to be happy new home owners who wave as they drive past or chat as we walk by. Long may that continue. - How would you describe your team at Hampton Lea? My team consists of my long-term assistant, Paul, who has worked with me for many years, although he insists everyone calls him “Woody” (even his wife calls him Woody). I have a new forklift driver on location and an agency labourer, Matthew, who has worked on site since before I started. We have now sent him an offer of employment as he has impressed us so much. We have taken on some new contractors since we arrived and feel all of us are working together to produce the best homes we can. - What’s happening next at the location? - What is your overall aim for Hampton Lea as site manager of the location?